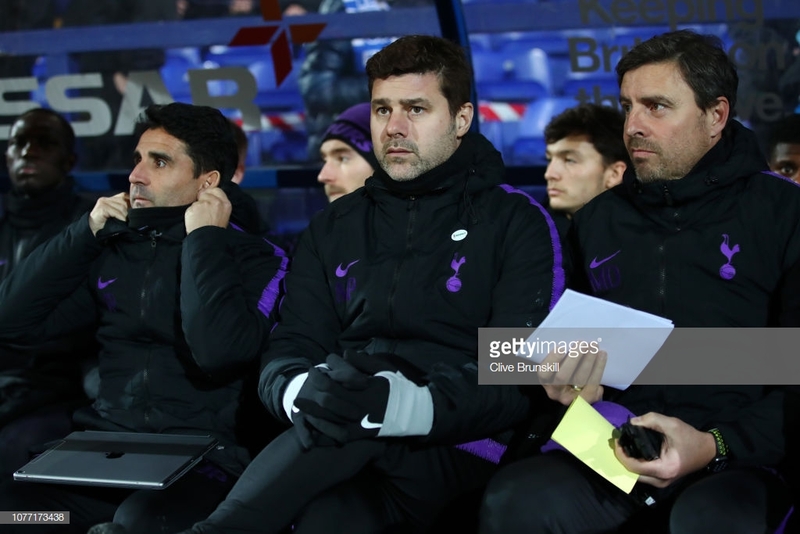 Mauricio Pochettino spoke to the media after Tottenham's seven-goal showing at Prenton Park in the FA Cup. Tottenham Hotspur enjoyed their Friday night trip to Tranmere Rovers as they ran out 7-0 winners to book their place in the fourth round of the FA Cup. A second-half masterclass from the Lilywhites saw Rovers concede six goals in the final 45 minutes. Mauricio Pochettino spoke to the media after the win and explained his decision to bring Harry Kane on late into the game. Serge Aurier put Spurs ahead in the first half with a stunning strike from distance and he doubled his tally after 55 minutes. "I think it was good for him. It's important for any player to have the possibility to score," he said. Aurier had only scored twice for Spurs before Friday night's rout. "When you are a full-back and you score and you don't have the habit to score, always it's special. "I think he scored two but I need to see the second if he scored or not I don't know. He did? Ok, good for Serge," the Argentine added. Harry Kane was granted a well-earned rest but at 6-0 the 25-year-old was brought on by Pochettino. "It was respect, respect the people, respect the opponent. They’re not going to have many chances to see Harry Kane play here in a competition like the FA Cup." Kane captained England in the 2018 World Cup which saw him also collect the Golden Boot after scoring six times. "I think it was a great atmosphere. For different reasons, I decided to make a change and put Kane on the pitch but one of them is that It’s important to show respect to the people here so they could see Harry Kane, who is an icon in English football. "It is difficult in that division to see it. It was important to see him in action," he added. Fernando Llorente took the match ball back to London after a superb second-half hat-trick. "Yes, it’s a six-month contract with the club and we will see what happens." The 33-year-old striker has now netted four times this season with his only other goal coming back in October against West Ham. "As I explained for different players, it’s not only in our hands, what the player wants. "Of course, now the window is open we’re going to talk," he finalised.